I wasn’t really expecting for these flowers to be bloom this year. I planted them this year on a bulb and was thinking because there was not much sunlight in our place. It might take a while. I was absolutely wrong, one day I just saw this pretty Lily flower blossoming in our front yard, I was so happy to see the pretty colors it has. We did bought mixture of different colors so I wasn’t expecting this pink one would bloom first. I took a picture so I could share it with my family and friends how happy I am to see the beauty of a Lily flower. What’s more is that there were four of them who did blossom this year. The other two were different which I will share it later on. Oh! I can’t wait for next year, to see how they blossom at the same time. I will definitely going to take pictures of them all. I can't wait to see my Easter Lilies next year. That is gorgeous! I have yellow, white and orange but no bright pink like that. I looked at Lowes today and did not see any pink, sigh. 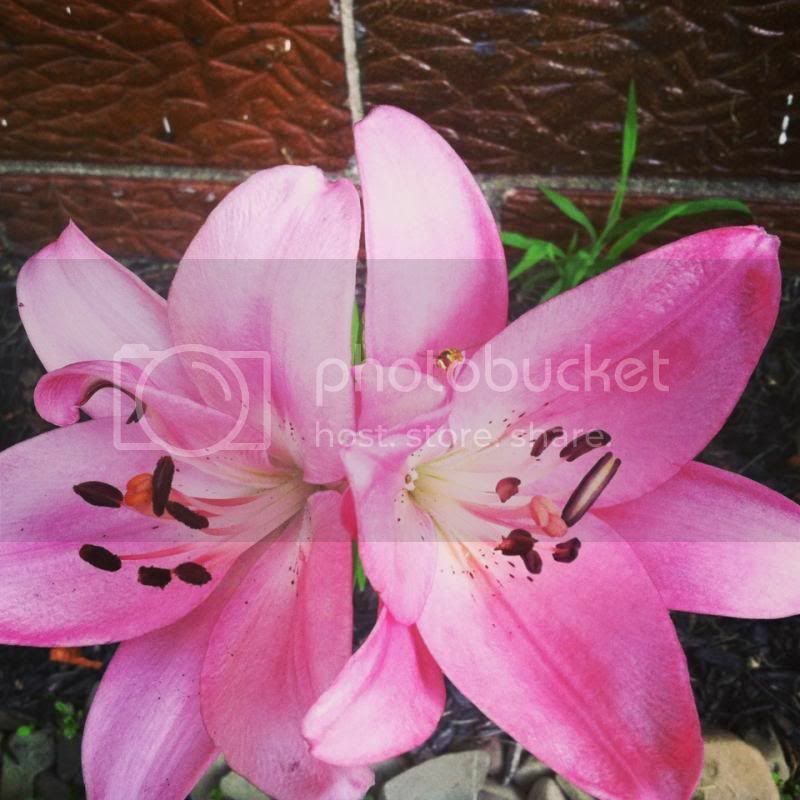 That is a beautiful Lily and what a great picture you got of it! How beautiful! I love when my lilies come in bloom! One of my favorite summer flowers!